ISLAMABAD, Pakistan _The shadowy new terrorist leader who's being blamed for the assassination of former Pakistani Prime Minister Benazir Bhutto embodies a growing threat to the U.S.-backed Pakistani government, to America's supply line to Afghanistan and to the Bush administration's hopes for tracking down Osama bin Laden and defeating al Qaida. A few months ago, few Pakistanis and even fewer Americans had heard of Baitullah Mehsud, and there are no pictures of the face of the Pashtun-speaking tribal chief from the rugged border area with Afghanistan . But in December, he was chosen to lead the Taliban Movement of Pakistan , a nascent Islamist insurgent coalition on Pakistan's northwestern frontier that preaches a radical form of Islam and opposes nuclear-armed Pakistan's secular regime. According to Pakistani authorities, Mehsud is behind the murderous bomb attacks that have shaken the country in the last year. They also accuse him of ordering the Dec. 27 killing of Bhutto, a charge that the CIA has backed up. Mehsud has denied any role. So many accusations have been hung around Mehsud's neck that some observers question whether he can be so powerful. Others say his brutal rise is only beginning. Mehsud operates from South Waziristan, within a wild mountainous region bordering Afghanistan that's known as the Federally Administered Tribal Areas. He reportedly commands at least 5,000 armed followers— maybe many more— and models himself on Mullah Omar, the fugitive leader of the Afghan Taliban, with whom he acknowledges spiritual links. Cunning but not well-educated, Mehsud orchestrated the killings of more than 100 maliks— traditional tribal leaders— in his area, many of whom wanted to talk peace with Pakistani authorities. Late last year, he humiliated Pakistan's army by kidnapping 250 soldiers, holding them for weeks and letting them go only in exchange for militants held in Pakistani jails. "We pray to God to give us the ability to destroy the White House, New York and London ," he told the network. "Very soon, we will be witnessing jihad's miracles." He called for a "defensive jihad," asking Muslims from around the world to support his fight. Some 40 Pakistani Taliban leaders, representing all parts of the tribal areas and many settled regions in northwest Pakistan , formed the movement known as Tehrik-e-Taliban Pakistan in December, demonstrating the organization's ambition and reach. The group's spokesman has claimed responsibility for a number of attacks on security forces in the area. President Pervez Musharraf said recently that "most if not all suicide bombings (in Pakistan ) can be traced" to Mehsud. Some accounts say Mehsud is in his early 30s, but according to retired Brig. Gen. Mahmood Shah he's well into his 40s, which may make more sense given that he's supposed to have cut his jihadi teeth battling the Soviets in Afghanistan in the 1980s. Shah, formerly the top security official in the tribal areas, negotiated a peace accord with Mehsud through intermediaries in February 2005 . The flight of foreign Islamic radicals from Afghanistan — under military pressure from U.S. and NATO troops— into Pakistan's tribal border areas is one element in Mehsud's rise. "He's kind of at the intersection of three groups of bad guys. There's the Afghan Taliban, under Mullah Omar. You also have the Pakistan Taliban. Then there are allied fighters," said Christine Fair , a South Asia expert at the RAND Corp. , a nonprofit research center with offices in Arlington, Va .
"The Chechens and the Uzbeks, especially the Uzbeks, are known to be involved in the day-to-day fighting," said Ijaz Khan , a political scientist at the University of Peshawar . How Mehsud's militants finance themselves is unclear. Analysts say charities in the oil-rich Persian Gulf countries send money and that other funds flow from Afghanistan , where the heroin trade is booming. Mehsud told al Jazeera that his group's leaders "don't know how some money has come to us or who has paid it." "It is very easy to put the blame on someone who is sitting in a mountain retreat," said Rustam Shah Mehmand, Pakistan's former ambassador to Afghanistan . "I don't think Baitullah Mehsud has such long arms to be committing such brazen acts of violence." 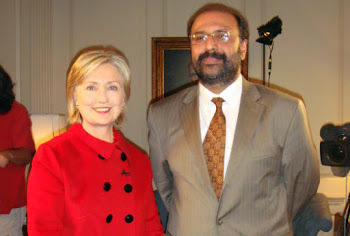 Hassan Abbas , the author of the book " Pakistan's Drift Into Extremism" and a research fellow at Harvard University , said there were perhaps a dozen militant groups in Pakistan that were capable of killing Bhutto, including Lashkar-e-Jhangvi and Jaish-e-Mohammad. Kamran Bokhari , the head of Middle East research at Strategic Forecasting, a private intelligence firm based in Austin, Texas , pointed out that unlike the very loose organizational structure that al Qaida favors, Tehrik-e-Taliban Pakistan is highly centralized. 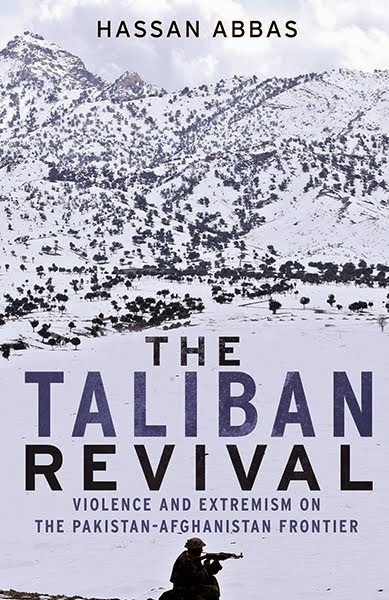 "He's shown his ability to strike outside of the tribal areas with these suicide bombers," said Rahimullah Yusufzai , the editor in Peshawar , which is near the tribal areas, for the national daily newspaper The News and a recognized expert on the Taliban. "He has sent suicide bombers after every military strike against him." "The credibility of that cassette is very much in doubt," said retired Gen. Asad Durrani , a former head of Pakistan's Inter-Services Intelligence directorate. "Groups that can carry out such actions are wise enough not to claim credit on the telephone. The moment you start speaking, you can be targeted." Who is financing Pakistani Talaban like Maulvi Umar? Isnt the same source who earlier Finance the Afgani Mulla Ummar.Amazing Eh!